Join us for an evening of dinner, dessert and inspiration! Keynote Speaker, Pr. Oleg Schewtschenko, is our newest ministry partner from Ukraine. He will share about the incredible vision for reaching youth who are aging-out of Ukrainian orphanages. 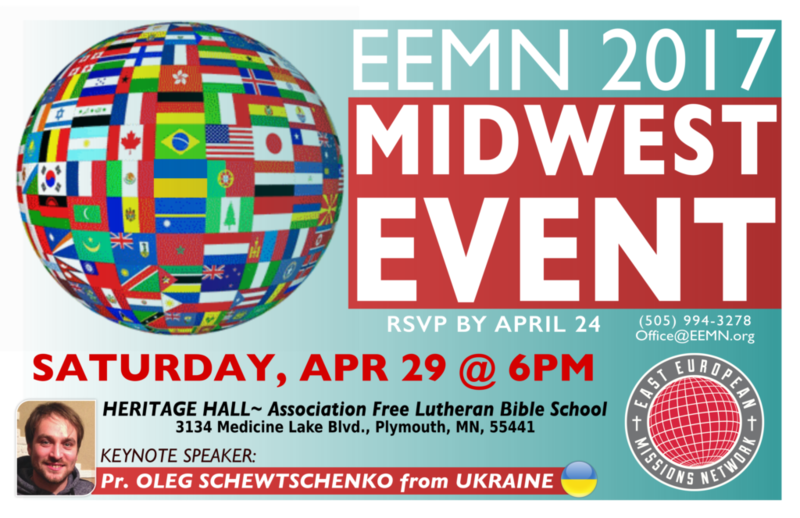 This is also an opportunity to learn the latest about how God is opening new doors for missions in Eastern Europe and to enjoy fellowship with so many like-minded friends and family of EEMN! Please RSVP for yourself and your guests no later than Monday, April 24, by clicking here or contacting us directly at office@eemn.org or 505-994-3278.